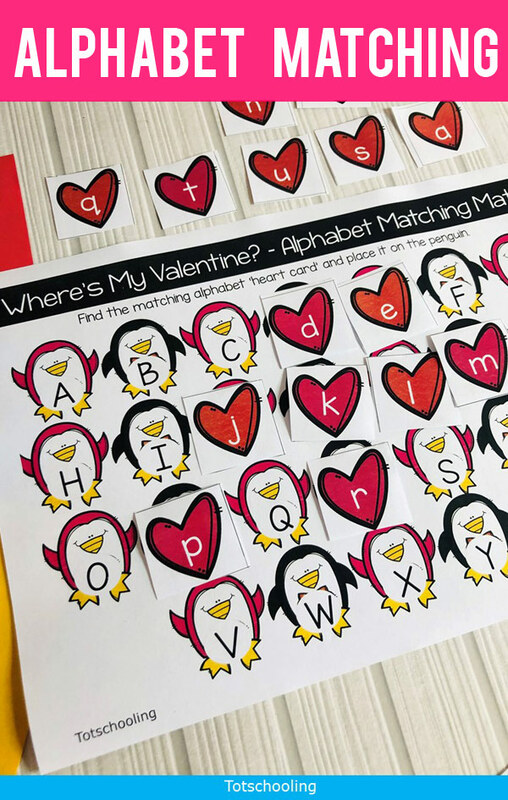 Preschool kids will love these alphabet matching cards game mats! There are two versions of these mats to suit all your learners. The best part about this activity? 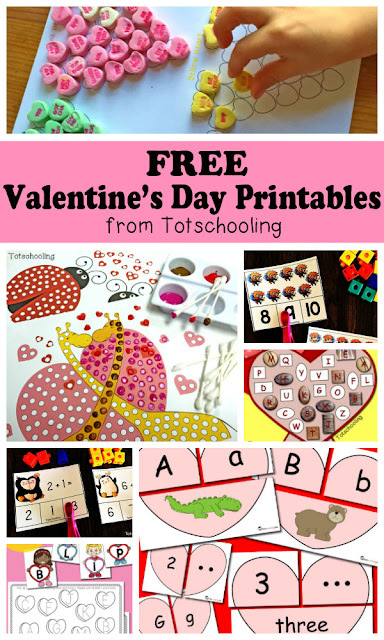 You could print and set it up as a file folder activity! Print both mats in colour or greyscale and then laminate them (you will be glad you did after the kids get their hands on the mats 😉). Print the coloured heart cards and be sure to laminate those too. I chose to create a booklet with these mats by using a hole puncher but you can also glue these mats into a file folder and have them setup and ready for use year after year. These mats are so much fun for pre-schoolers and kindergarten kids alike. You could totally differentiate these alphabet mats depending on the level of the students in your group. Once you’ve laminated the mats and cards, place the cards in an envelope (inside the file folder if you’re using one). I use rubber bands on my cards to keep them in place. 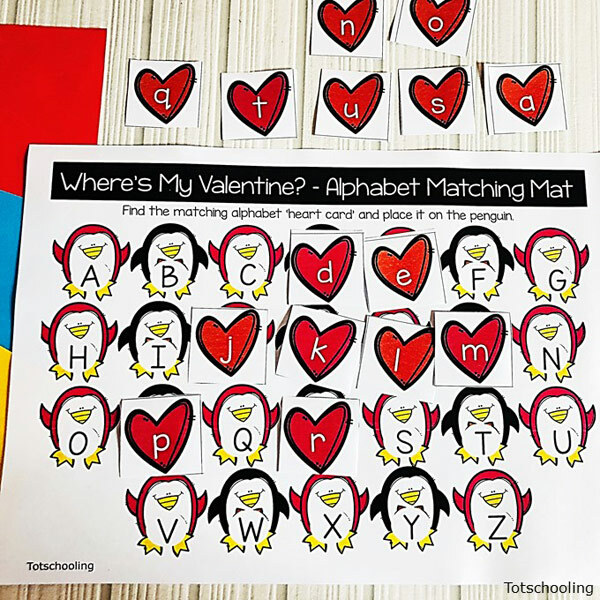 This is also optional but you can add Velcro to each alphabet penguin on the mat along with the matching set of heart cards. It’s really totally optional! Kids can work on matching their uppercase – lowercase letters or they can match uppercase – uppercase letters. A great way for kids to practice letter differentiation. You could totally turn this activity into a competitive group game by having two sets of file folders and have the kids compete to match all their ‘heart letter cards’ with the penguins on the mat. The group to finish the whole set with no mistakes (or least amount of) wins the competition! Thank you very much for the interesting pictures. Loved it. For some reason, I wanted to use them as a template for my blog https://best-vegas.com/las-vegas-strip-map-2019/. Look if interested. Good luck in the future.